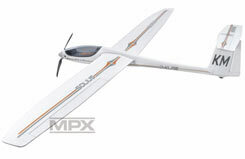 All Products > "25264264 Multiplex RR Solius Glider EP ARTF"
High-performance electric glider with T-tail, cockpit and clear canopy. With its pleasant handling and excellent perfor-mance the SOLIUS offers tremendous flying pleasure to anyone from the weekend flyer to the pro-standard pilot. 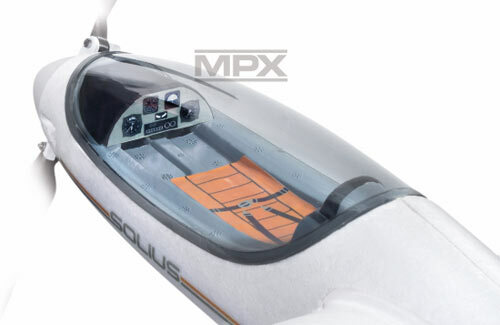 Whether you�re looking for long gliding flights or lively aerobatics - the SOLIUS always gives a good account of itself. 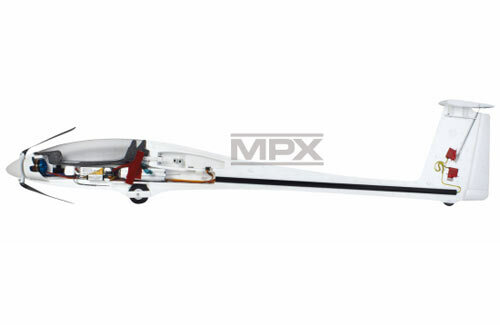 ELAPOR-Modell 100% factory-assembled, inclusive PERMAX BL-O 3516-0850 motor, speed controller MULTIcont BL 40 S-BEC, assembled propeller 12x6", 4 Servos Nano-S, applied decal and comprehensive instruction.